It's become somewhat of a trend to celebrate birthdays now on more than just the day itself. Some people celebrate for the entire week of their birthday, and others for the whole month. But there's no one more deserving than thrash-legends Anthrax to celebrate their band's birthday  if you will  or rather their anniversary, by doing so all year long - - - especially when it's their 35th. 2016 began for Anthrax with a tour with Lamb of God, and then in February they released their newest and eleventh studio album, For All Kings. Entering the charts at #9 on the Billboard 200, For All Kings sold more than 34,000 copies in it's first week in the U.S. alone. Since then, the album's popularity rippled out worldwide like an earthquake's aftershocks, and continues to dominate the metal world seven months later still making multiple publication's 'best of' lists for the year's releases. Adding to a heady list of milestones spanning three and a half decades including having sold more 10-million albums worldwide, having helped break down racial and musical barriers with their collaboration with Public Enemy, and even nailing the accomplishment of being the first metal band to have their music played on the planet Mars (yes, you read that correctly  Mars.) Anthrax has already circled the globe in 2016 touring Central and South America with Iron Maiden as well as hitting all the biggest European festivals this summer. And now the mayhem lives on with a North American tour with Slayer and Death Angel while concurrently performing headlining shows on select dates  and one of those special headlining shows is going to be right here in the Windy City. Taking place at the Concord Music Hall on Wednesday, September 21, Anthrax will decimate the stage with Death Angel in the Special Guest slot and with openers Devil Land. "It's nothing short of humbling and great, and I'll be really honest it's a lot of work - and nobody's complaining about our day-jobs, believe me," explained Bello in earnest, "Because look, at the end of the day all you want to do is work hard and connect with people with song-writing, and really, that's it. And then when you finally put out that record that we talked about back in January, all you want to do is make as many people hear it so they can connect with you and you can connect with them." Bello went on: "...there's a buzz  thankfully - on Anthrax, and we're really psyched about that because you feel it. We feel it and there's a genuine buzz from the touring we did  we did over two months in Europe, all the festivals, it's been amazing and we're booked well into next summer...And the whole point is to keep busy and keep promoting this record and it's really important. And to be honest, people want to hear different songs off the new record and that's more satisfying than anything because I think people are listening to all the record - to the whole record, and that really means a lot to me." And even despite knowing that For All Kings was a special album even during the writing and recording process, Bello  one of the album's primary writers, doesn't take anything for granted. "I never look a gift horse in the mouth at any time. All you want to do is hopefully get a listen, all you want to do is get it out there and get people to listen to it. And of course, this is what you want  the accomplishment and satisfaction of saying 'ah, we're on the right page.' But I truly think the band Anthrax that we are in a good vein of writing right now and we found something that we're really comfortable with. And I think we know each other really well just when you get older and all that stuff, I think we're in a really good writing phase." "And I'm happy to say that because not a lot of bands are around after 35 years with people saying like about us that we recreated ourselves and we sound fresh but we're the same band. And I love hearing that because that's how I feel. 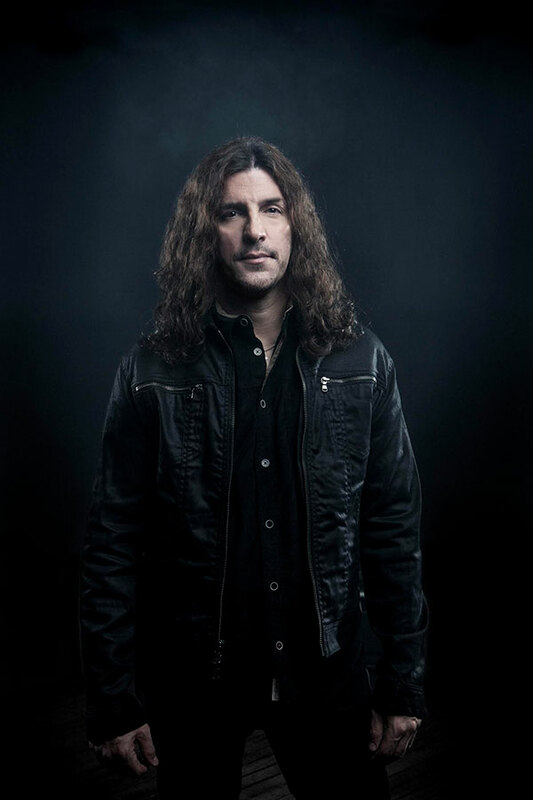 I just want to write a good tune, I want people to forget about their problems when they listen to an Anthrax song, I want them to get away from whatever it is that's bothering them in life and feel good  - - that's the whole point. That's what music does for me." "Yeah, it's fun. And I guess it's a great problem to have, right? Every time you want to do a headlining tour you get asked to do this other great tour. [laughs] We've been asked to do a lot and it's a great compliment that great bands want us out to play with them and make a great package. So of course if it's right and it all works out with budget and all that stuff, you want to get to the bigger masses of people to listen to your stuff. Long-story short, that's what's happened, so everybody's asking 'When are you going to headline?' These are off-shows, the proper headlining shows you'll see. For days off the Slayer tour we're doing that, but there will be a proper Anthrax headlining tour next year. We have that penciled in right now that we need to headline because everybody's been asking for it. Again, a good problem to have that people want to see a headlining tour so it's a momentum thing. We're definitely having fun with it." "...we have to get through how many songs people want to hear off this new record because obviously we're promoting it. But then you never know with Anthrax specifically, we all have different personalities and someone will just bring up a song one day, 'We should just try this,' and it's as simple as that...the good thing is there are a lot of songs to pick from. But first we're going to concentrate on the newer stuff, we're going to bringing 'Blood Eagle Wings' into it because people are asking for that and other songs from the new record, so we're going to try to mix it up and have fun with this stuff."